Model generation and minimal model generation are useful for tasks such as model checking and for debugging of logical specifications. 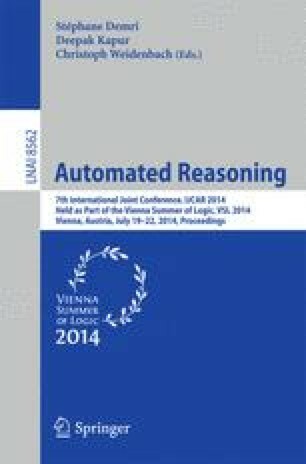 This paper presents terminating procedures for the generation of models minimal modulo subset-simulation for the modal logic K and all combinations of extensions with the axioms T, B, D, 4 and 5. Our procedures are minimal model sound and complete. Compared with other minimal model generation procedures, they are designed to have smaller search space and return fewer models. In order to make the models more effective for users, our minimal model criterion is aimed to be semantically meaningful, intuitive and contain a minimal amount of information. Depending on the logic, termination is ensured by a variation of equality blocking. The first author is supported by an EPSRC EU Doctoral Training Award. The research was partially supported by EPSRC research grant EP/H043748/1.